Don’t be thrown off by the PG-13 rating, which some take to mean that a child under 13 could watch the movie with parental guidance. PG-13 actually means that some material may not be suitable for children under 13, and you should take this seriously. Get Smart is chock-a-block full of violence, raging infernos, dead bodies and weapons galore. 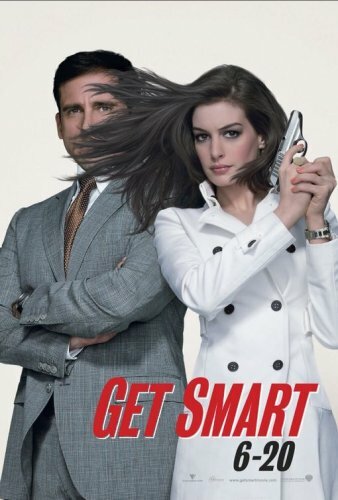 That said, as an homage to the original Get Smart it’s not bad, and if you are a Steve Carrell fan, you’ll like it. But it’s not for kids.